1. Make sure the total wattage of connected string DOES NOT exceed 700W. 2. 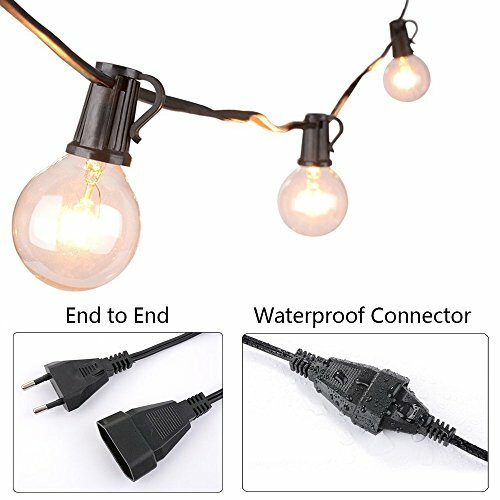 Promptly replace worn-out light string. 3. 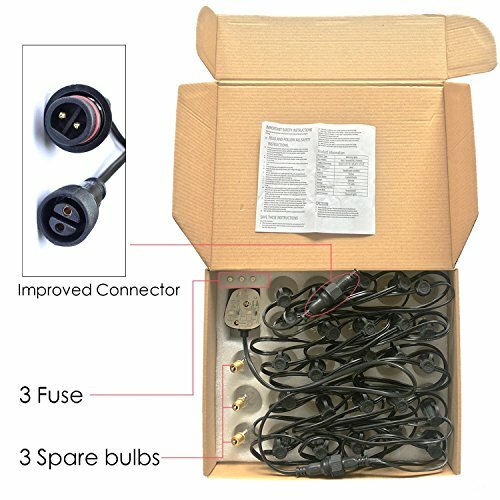 Disconnect power at source prior to wiring, re-lamping or servicing in any way. Do not touch when wet. 4. Once strand is secured, screw bulbs into empty sockets. In case of windy conditions, install strands far apart enough so bulbs don’t collide. 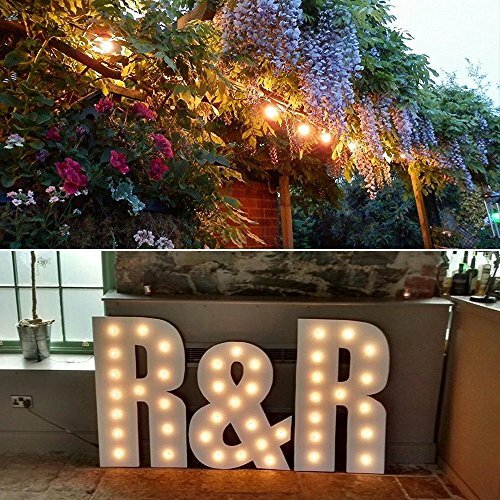 ✿ Elevate Your Outdoor Environment:Fulton Illuminations G40 Outdoor String Lights give an inviting warm white glow that will bring any party, backyard, or room to life. 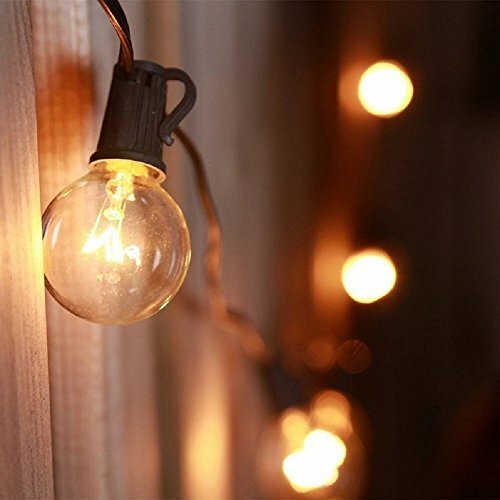 Impress your guests at outdoor and indoor parties, receptions, romantic dinners and more.Light up your patio, garden, tents or pergola in a warm amber glow. 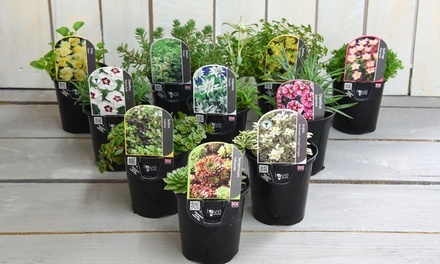 Also great for wedding, birthday party and other gathering. 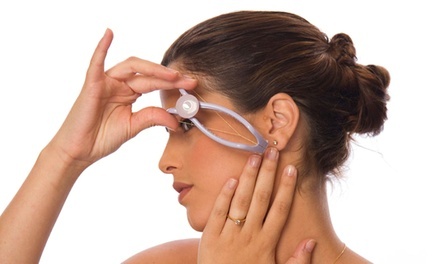 ✿ Waterproof and Electiric Isolated: High quality wires and built-in fuse for safety insurance. 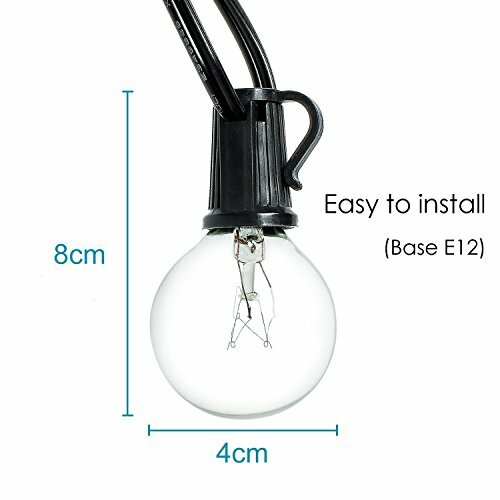 ✿ Easy to Install: Light bulbs have candelabra (E12) socket base. 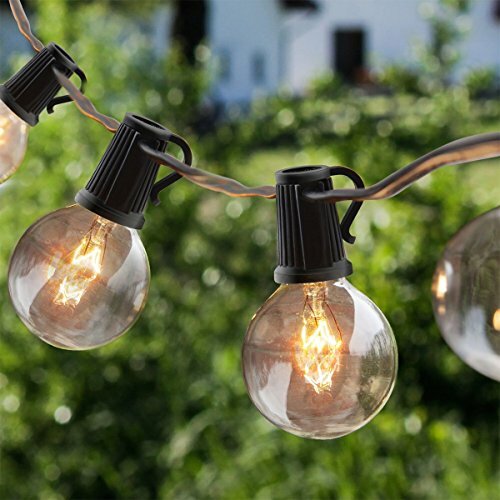 Each bulb has a clip on the side which makes it easy to attach it to your branch or a nail.Free 3 replacement bulbs: If one bulb goes out, you just need to replace it. 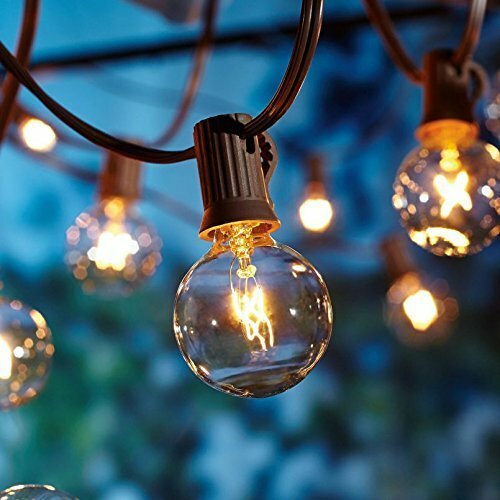 ✿ Long Service Life:Each strand of 25 Globe lights string has end-to-end connections, so you can attach up to 3 strands to cover large areas(based on not more than 7 watts bulbs). Even with one or two broken bulbs,the remaining bulbs will continue to light up. ✿ Low Consumption: The bulbs in this holiday lights are 7 watts each, which means the energy consumption is about the same as one 125-watt incandescent light bulb.